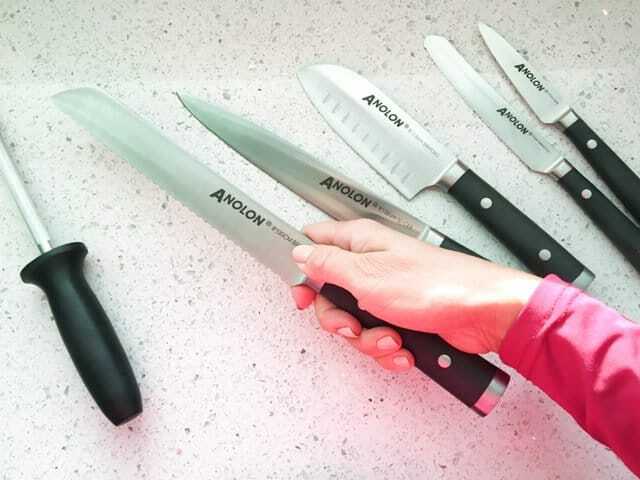 With this Anolon 17-Piece set, you’ve got a knife for every cooking situation. 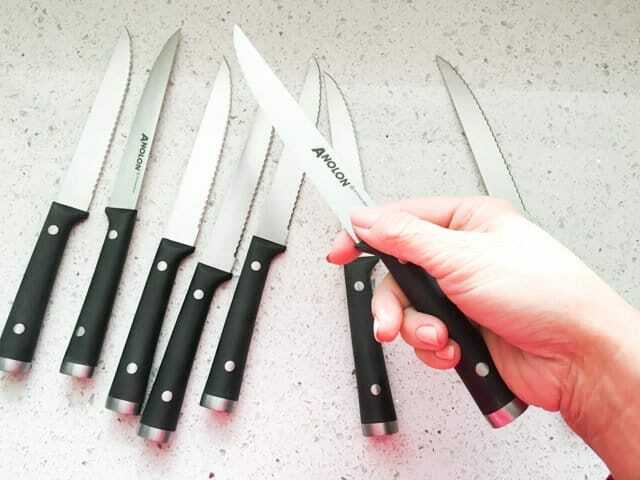 When buying knives online, it sometimes helps to see the knife in someone’s hand, so you can judge dimension and comfort. 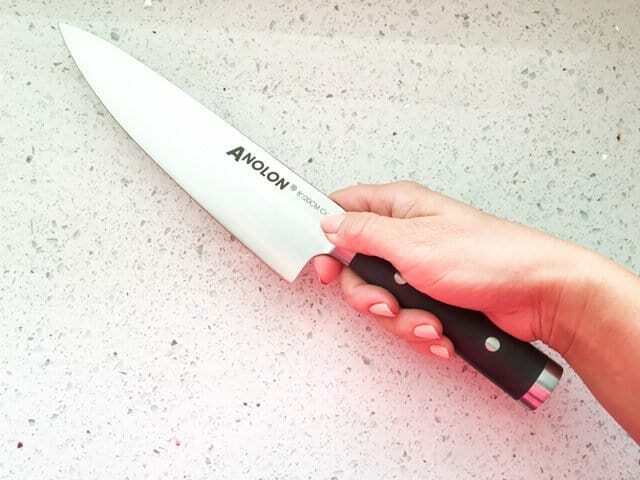 The 8″ Chef’s Knife is perfectly balanced and fits my hand so well. 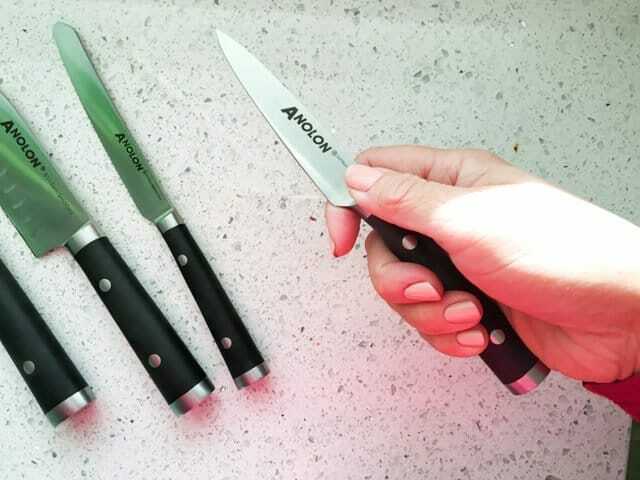 The handle isn’t too big, there are no hard edges and feels warm to the touch (unlike my all-steel Global Japanese knives that always feel cold and harsh to the touch). The bread knife is also 8″ long, perfect for slicing through large, crusty loaves of bread. 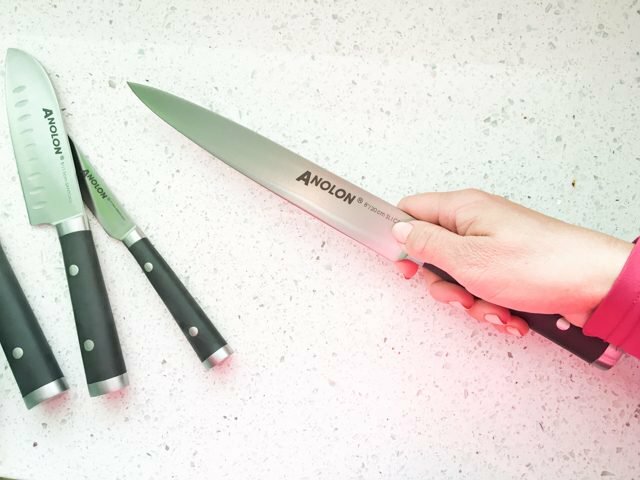 The 8″ Slicing Knife is for carving large meats, like ham, or prime rib. This is the 5″ Santoku Knife, my favorite in the set. 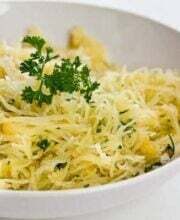 It’s a great size for small fruits and vegetables, mincing herbs and chopping garlic. 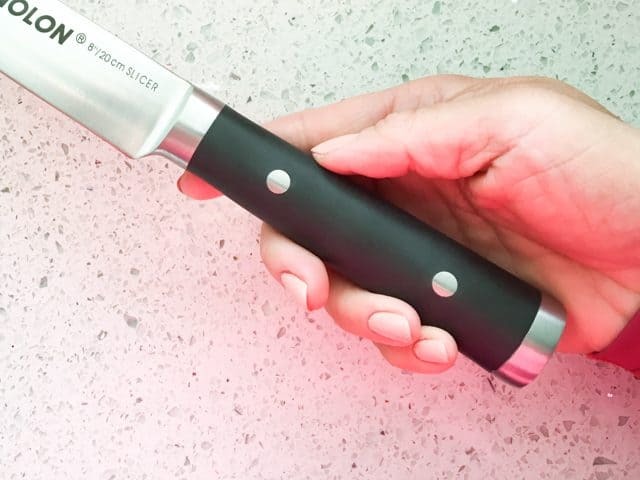 The 5″ Serrated Knife is my go-to knife to slice tomatoes. The teeth are very small and ultra sharp. The paring knife fits in the palm of my hand nicely. Use this for cutting tops off strawberries, peeling an apple or segmenting grapefruit. 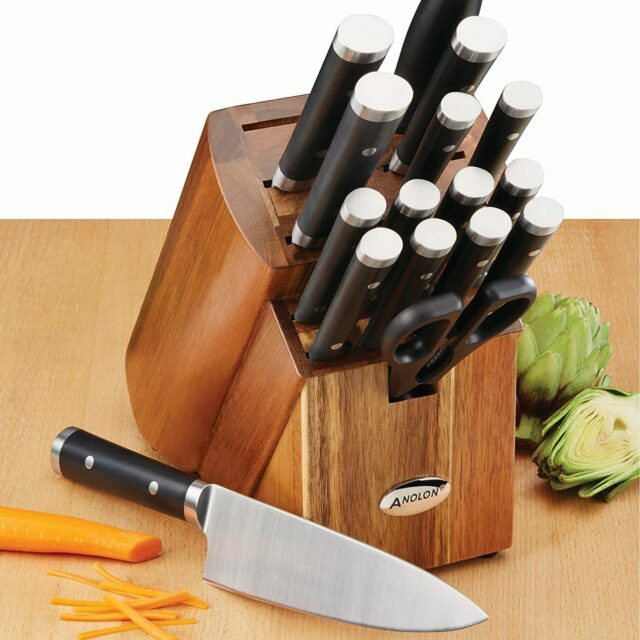 The set comes with eight steak knives!!! 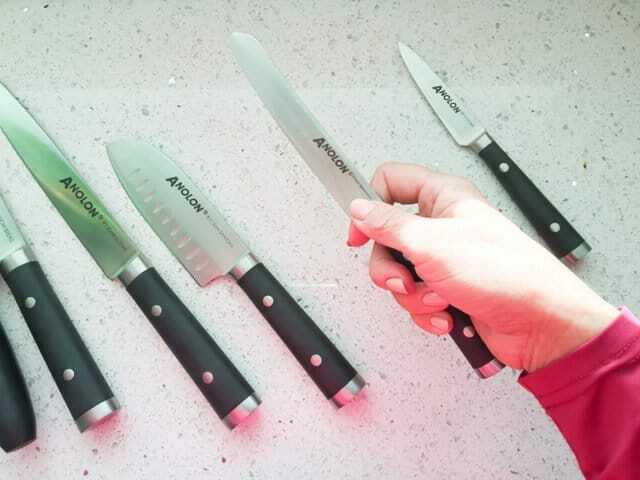 Get rid of your dull, cheap steak knives and serve your next ribeye steak with these handsome, quality knives. 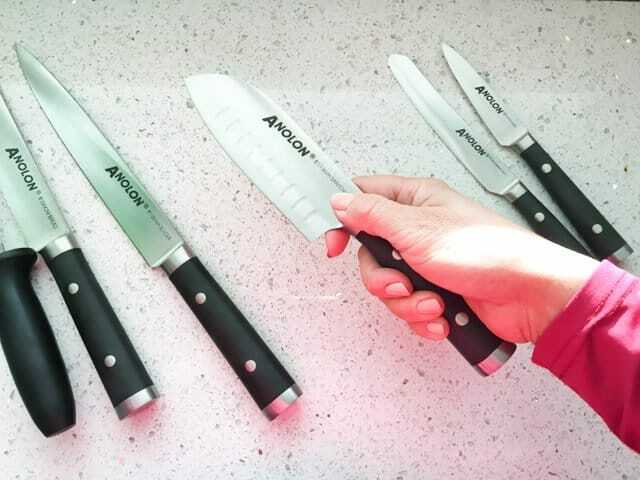 The Anolon steak knives are hefty, and the handle is made from non-porous materials. They’ll last a lifetime. The only thing I’m not a fan of is the kitchen shears. The holes for your fingers are too small. 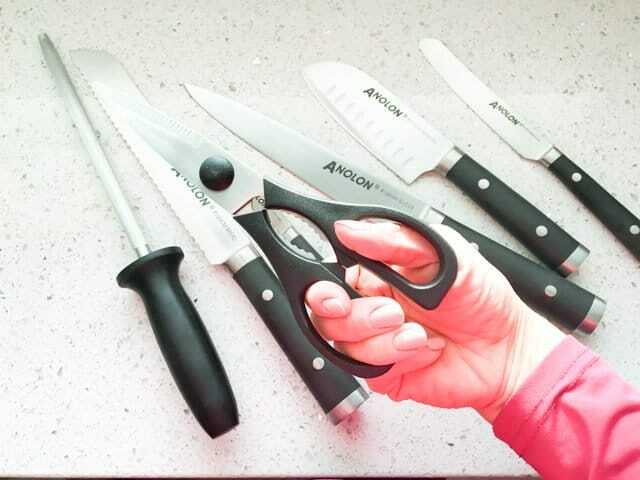 However, I’ve yet to find a knife set that includes the perfect kitchen shears. 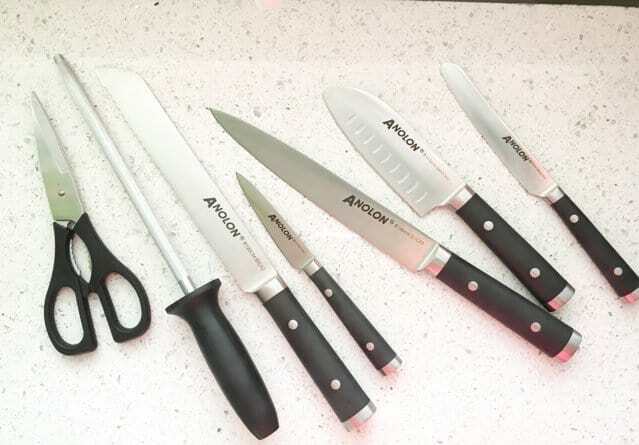 You can purchase this Anolon 17-Piece Japanese Stainless Steel Knife set at Bellacor for $199.99. Bellacor offers free shipping over $75, and they offer price matching. 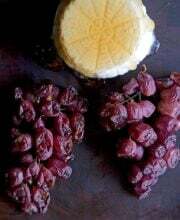 This is our second time working with Bellacor for a product review. 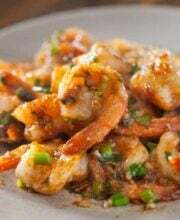 They are a U.S. based company, with real offices in the heart of Minneapolis, Minnesota. Their customer service phone is answered by a real person! You can get a 15% discount by joining their email newsletter AND if you sign up for Ebates (free), you get an additional 4% cash back. That’s nearly 20% discount! Big thanks to Bellacor for providing the review and sponsoring the giveaway.